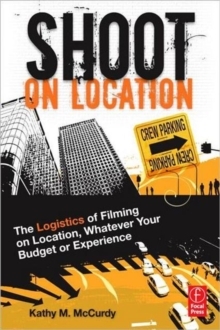 In this comprehensive guide, industry veteran Kathy M.
McCurdy provides everything you need to know to get out on location-from how to break down the script, public relations tips for successful location scouting, negotiating with property owners, permitting on public property, how to handle complaints, and even where to put the very unattractive port-a-potties. It also includes samples of all the different forms and contracts you'll need and breaks down everything from where to park the trucks to when you need police on the set. 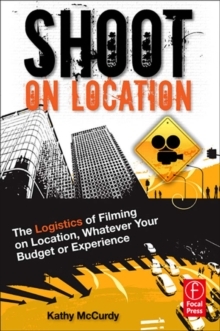 Filled with real-life examples and actual filming situations, Shoot on Location provides everything you need to know from scouting through the wrap.